abang is using Smore newsletters to spread the word online. A'a' lava is the most common appearance type of lava flows that cool down forming fragmented, rough, sometimes spiny, or blocky surfaces. 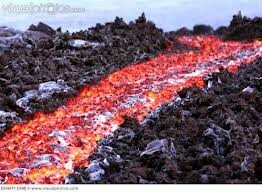 A'a' lava forms when the viscosity of the lava (e.g. because of high gas bubbles content and relatively low temperatures) and/or the strain rate of the flow (related mainly to eruption rate and steepness of the ground) are high. 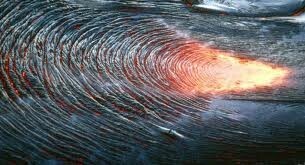 When these factors change, the same original lava can sometimes produce the other end-member known as pahoehoe lava, which has a smooth, often twisted surface. 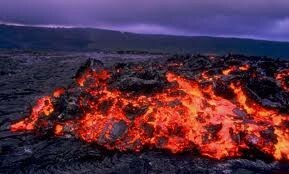 In addition, transitional types of lava between both a'a and pahoehoe lava can be found.